Vinedos de Nieva was founded in 1989 as a project trying to revive the vinegrowing tradition that existed in this region. With the goal of finding exclusive areas to produce the finest wines, Fausto Gonzalez traveled around Segovia looking for the best white wine. And it is just after knowing Nieva when he got convinced about the exceptionality of its wines. In 2009 Martue members arrived to Vinedos de Nieva, to elaborate Rueda wines keeping Martue´s philosophy, not big productions with the highest quality and the best prices. Fausto Gonzalez waited patiently for more than a decade until the grapes reached the perfect quality level, and then they were able to produce Martue wines. It is this constant quality and the unbeatable relation price/quality the keys of the success of this familiar winery. 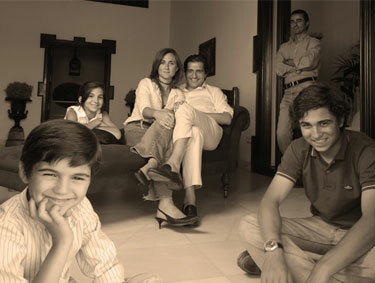 With this philosophy, Fausto and his family went on with another two wineries: Viñedos de Nieva and Seis Quintas Martue. None of this achievements would have been possible without the knowledge and effort of every member of Martue Family, all of them responsible of the birth and growth of the three wineries.